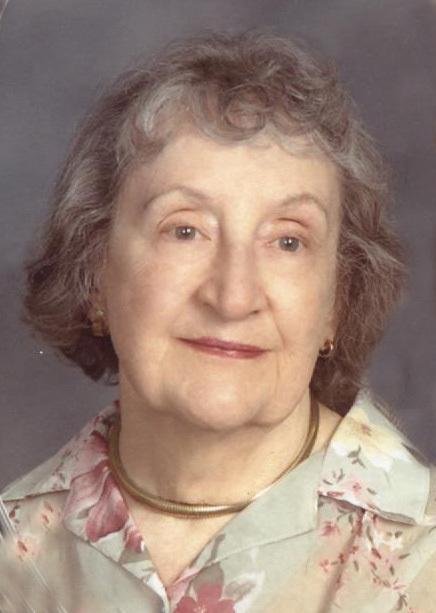 Florence E. Wood, 96, of Wausau, passed away on Friday, February 1, 2019, at The Bay at Colonial Manor. Florence was born in Wausau on October 6, 1922 to the late Henry and Martha (Beilke) Hackbart. She was raised on a farm in the Town of Maine and was a 4-H member during her teen-aged years. Florence married James Wood, Jr., in Wausau on June 10,1950. Together they raised three children, Carla, Jay and Lisa. James preceded Florence in death on June 26, 2015. Florence and Jim and family moved to Green Bay in 1962. There, Florence was a member of the “Sweet Adelines.” In 1966 they moved to Merrill, where they lived for the next 34 years. While there, they shared their faith at Our Saviors Lutheran Church. Florence sang in the church choir and served as the kitchen chairman for funeral meals and the church’s yearly Lutefisk dinner. Florence became an expert at making the traditional Norwegian flatbread Lefse, making and selling more than 2000 pounds over twenty years’ time. 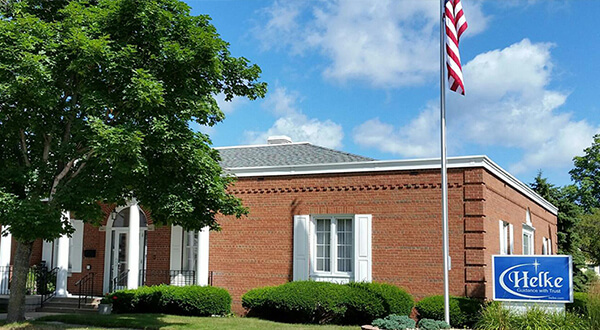 In 2000, James and Florence moved to Rothschild and joined Bethlehem Lutheran Church, where Florence was active in both the choir and the quilting club. James and Florence enjoyed working on crossword puzzles, only using ink to fill in each word. They also enjoyed traveling throughout the United States and abroad, visiting Australia, New Zealand, Spain, Germany, and the Holy Land. Florence is survived by her children, Carla Marie (Michael) Hoersch of Weston, Jay Alan (Elizabeth Moore) Wood of Michigan, and Lisa Ann (Russell) Deatherage of California; seven grandchildren; three great-grandchildren; sister-in-law, Violet Hackbart; as well as many nieces and nephews. In addition to her parents and husband, Florence was preceded in death by seven sisters, four brothers and many sister- and brother-in-law’s. Florence was a woman of strong faith; caring and generous and always willing to help others. A celebration of Florence’s life will take place at 11:00 am on Thursday, February 21, 2019 at Bethlehem Lutheran Church, 1901 Kowalski Rd, Kronenwetter. Rev. John Czarnota will officiate. Visitation will take place from 10:00 am until the time of services at the church. Please go to helke.com to sign the family guestbook. The family thanks the staff of Colonial Manor and Interim Hospice for their wonderful and attentive care of Florence.